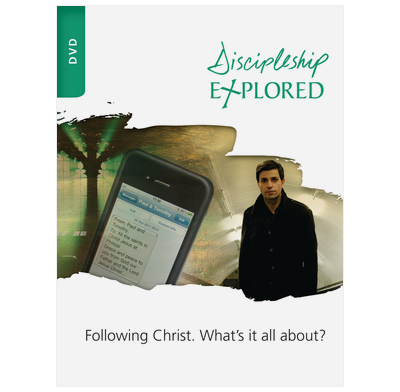 DVD presentation of the 8 talks for each of the eight sessions of Discipleship Explored, presented by Barry Cooper. Discipleship Explored is a course designed to give you the time and space to think about what it really means to live the Christian life. This insightful and visually stunning DVD is written and presented by Barry Cooper, co-writer of Christianity Explored. Please note, this DVD is available in NTSC format only. The dvd came very promptly much to my delight. I had already used the course and just wanted my own copy of the leadership material. In response to 'Disappointed' of 2011. Please others do NOT be influenced by this comment. For my money, Barry Cooper is 'right on the button'. I have a great regard for Rico Tice (although I feel that his first presentation of Christianity Explored was better than his second), but Barry Cooper is supreme in this Discipleship Explored DVD - I don't see any way that he could have been bettered by Rico, great as he is. I am delighted at the impact that Barry has made on my people. This has been the most popular study our Small Group has done in many years. Barry Copper packs so much, so effectively with great visual & verbal illustrations into his relatively brief video segments he has everyone sitting on the edge of their seats eager to discuss what they have just heard & seen. We highly recommed it to any Small Group.